Who hasn't wished to visit the land of Braveheart, haggis and "Outlander's" Jamie Fraser? Well, on Friday, April 6, Mad Priest Events will bring a wee bit of bonny Scotland to Chattanooga when An Evening in Scotland is held at Chattanooga Brewing Co., 1804 Chestnut St., from 6 to 11 p.m. This cèilidh, a social gathering, will include Celtic folk band Raven and Red, piping throughout the night by a member of Chattanooga Pipes and Drums, Scottish food, beer and Tartan Day festivities, since Friday is National Tartan Day. » General admission: $15 in advance, $18 at the door. Tickets include entrance at 7 p.m. for the concert, and Scottish food will be available for purchase as well as a cash bar for beer. » VIP admission: $48 in advance, $60 at the door. For those who want a real taste of Scotland, they can arrive at 6 p.m. for this exclusive VIP experience upstairs at the separate bar. The ticket includes a single malt Scotch tasting from three regions, a buffet of heavy hors d'oeuvres such as meat pies, vegetarian pies, Scottish eggs and haggis, and a cash bar for beer. Raven and Red is a folk-Americana trio based in Nashville. They are touring in support of their new album "We Rise Up." 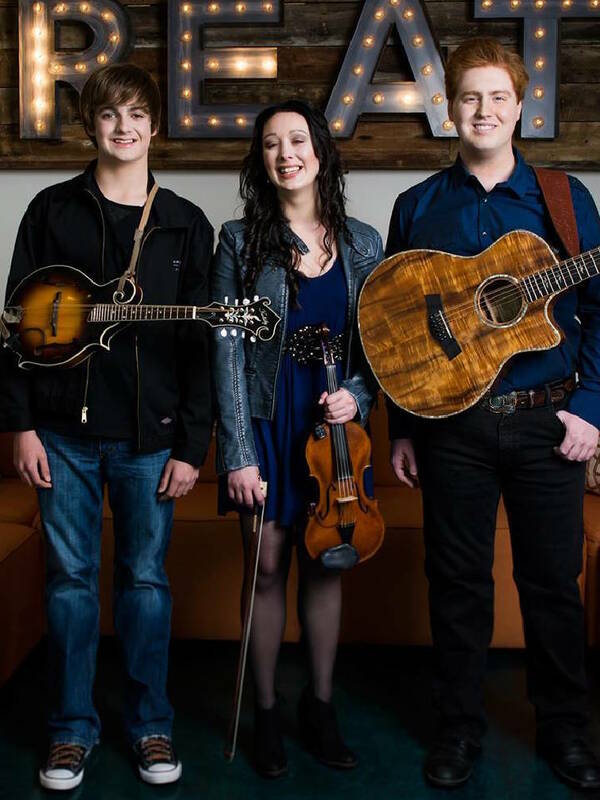 The trio is comprised of Brittany Lynn Jones, lead and harmony vocals, five-string violin, tenor guitar and mandolin; Mitchell Lane, lead and harmony vocals, six- and 12-string guitars; and Cole King, harmony vocals, mandolin. Raven and Red combines elements from all of their different musical influences into their songwriting. "We find it difficult to really narrow down our style into one particular genre. We have so many influences, from John Denver and Jim Croce to Tim O'Brien to classic rock and back to Bach," says Lane. Raven and Red has opened shows for Grammy Award-nominees Dailey & Vincent, bluegrass groups Russell Moore & IIIrd Tyme Out and The Claire Lynch Band, and Celtic rock band Screaming Orphans. The group has joined the lineup for the 2018 Dailey & Vincent LandFest in the Mountains, which will be held at the Georgia Mountain Fairgrounds in Hiawassee in September. For more information about An Evening in Scotland: www.chattabrew.com/new-events.